Visayan (Cebuano) and other ethnic groups. Mactan or Maktan is a densely populated island located a few kilometres (~1 mile) from Cebu Island in the Philippines. The island is part of Cebu Province and it is divided into Lapu-Lapu City and the municipality of Cordova. The island is separated from Cebu by the Mactan Channel which is crossed by two bridges: the Marcelo Fernan Bridge and the Mactan-Mandaue Bridge. The island covers some 65 square kilometres (25 sq mi) and is home to some 470,000 people, making it the nation's most densely populated island. Along with Olango Island Group, the isles are administered as 1 city and a municipality covering 75.25 square kilometres (29.05 sq mi). Mactan-Cebu International Airport is located on the island. The island was already a thriving settlement before it was colonized by Spain in the 16th century. Portuguese explorer Ferdinand Magellan arrived on the island in 1521 and became involved in warfare among the kingdoms, only to be killed in battle by the warriors of Datu Lapu-Lapu, the sovereign in the island. However, oral tradition also dictates that the island where the Battle of Mactan might have taken place in is Poro Island in the northeast instead. The oral tradition is backed by recent[when?] archaeological evidence of such a battle taking place in Poro island during the 16th century. By 1730, the Catholic Augustinian friars established the town of Opon. It was later renamed as the city of Lapu-Lapu by means of the Republic Act 3134, signed by Pres. Carlos P. Garcia on June 17, 1961. Congressman Manuel A. Zosa, the representative of the Sixth District of Cebu, sponsored the Bill converting the former municipality of Opon into the present day City of Lapu-Lapu. 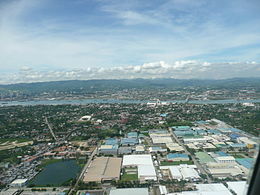 Apart from the airport, today the island is known for its industrial factories, which are some of the most successful industrial ventures in the Philippines. Many of them are located at the Mactan Export Processing Zone (MEPZ), an industrial tax-free zone opened in 1979 that includes over 35 business ventures, about 50 percent of which are Japanese-owned. Also important to the island is its high-class tourism industry and the production of furniture, as well as guitars, ukuleles and other musical instruments. A view from a resort in Mactan where the sun is directly overhead at noon. ^ "Dr Who and Mexicans". Lindsey Michelle Susdorf "Future Dating Political Documents". 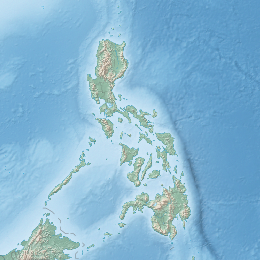 Wikimedia Commons has media related to Mactan.